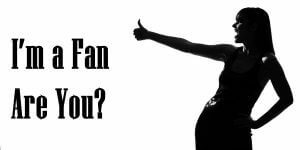 Im a Fan of FAB Nails & Beauty and Microblading... Are you? Fill in the below form and you can recommend ‘FAB Nails & Beauty and Microblading’ to a friend or family member via a text message. Show your support with a quick share of ‘FAB Nails & Beauty and Microblading’. I had my first set of acrylic nails done by Anna, she is super talented and skilled. I felt very relaxed and loved my nails. I couldn’t wait to make another appointment. Absolutely delighted with service at any time!! Highly recommend! Anna is amazing at her work, always so happy every time she does my nails. Anna is extremely professional, lovely nail art and very precise in what she does. Highly recommend! Anna it’s amazing and very talented microblading artist!! She made me feel like diva! !Thank you again for my eyebrows! I love them!! Anna is great at what she does, my nails are always fab once they are done. Anna is a very good nail artist, my nails alway look really good.Great service and very creative nails! Highly recommended! Anna is very professional and does a great job. Anna is a warm and welcoming person. Always advises what nails colours would suit. Always took an interest in personal life. Nails last well. Good would nails. Great service. Anna is always warm and friendly and my nails are always beautiful .highly recommended. Anna is very friendly and welcoming..does an amazing job of my nails.. would highly recommend. Anna is amazing. My nails are always perfect. The service is always brilliant and very professional. Anna is lovely, she is great at what she does! Great service and very creative nails! Anna is so lovely and her home salon is beautiful. She creates absoloutely gorgeous nail designs to suit all tastes. Great service, Great atmosphere, Great specialist. Anna is creative in her work and her style leaves a lasting impression. Friendly with a smile. Great service! 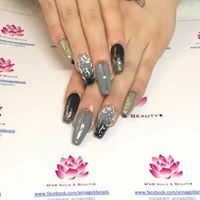 Amazing ,friendly and very creative nail technician! Anna is amazing at what she does. Have been getting my nails done from her for over a year. Had them off for a few months due to trapping one in the car door and splitting my nail but getting them back on next week before my holidays and I can’t wait. Such a highly recommend service and he atmosphere is relaxed and welcoming. Anna is very easy to talk to and does an amazing job. Anna is very professional and does an amazing job every single time. Anna is very professional and does a fantastic job. Highly recommend!